Heart shaped 11″ latex balloon. Helium quality. 100% biodegradable. 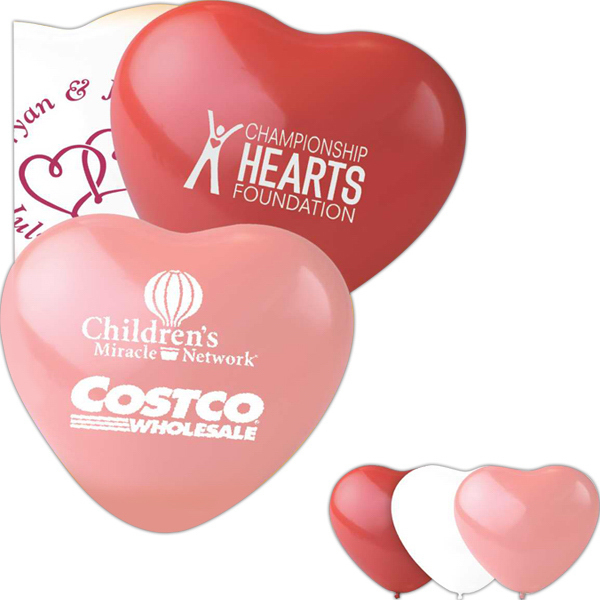 Helium quality latex heart balloons are a cost effective and highly visible way to get noticed! Perfect to make a large impression. Event ideas include weddings, fundraisers, charity events, fairs, parades, and anniversaries. Float time 10-12 hours. Made in the USA.